Quality Primary and Intermediate School Education in Our Catholic Character Since 1848. St Patrick's School is A MISSION SCHOOL DEDICATED TO EDUCATION, PRAYER, RELATIONSHIPS AND SERVICE. We are well-resourced, multi-cultural Primary and Intermediate School providing a high quality education with a focus on individual needs. We cater for boys and girls from Year 1 (5 years) to Year 8 (12-13 years). We encourage all our students to strive to reach their full potential. We are proud of our history as one of New Zealand’s oldest schools, our dedication to modern learning and teaching, our cultural and sporting partnerships and our Special Catholic Character. Sports, cultural activities, health & safety, outdoor education and trips are a vital and enjoyable part of the school programme. Stations of the Cross: Friday 12th April at midday. The school will gather at the Hall. Parents and families are most welcome to join us at this time. 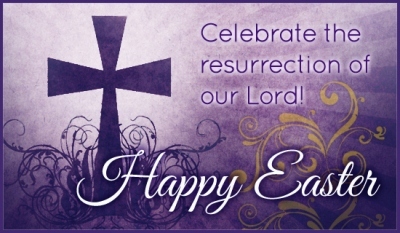 Wishing you all a Happy Easter and safe holiday break. See what we are learning this term. Read our latest fortnightly newsletter. EVERY CLASS AT ST PATRICK’S SCHOOL HAS A BLOG, WHICH YOU CAN VIEW HERE. We are a Year 2 & 3 class. Our teacher is Mrs Deeney. We will be sharing our stories and our learning. You are most welcome to make comments on our work. We will be sharing how we get on with other students. You are most welcome to make comments on our learning. We are a Year 4 and 5 class at St Patrick’s School in Auckland, NZ. We are in Room 6 and our teacher is Mrs Agnew. We are a Year 5 and 6 class at St Patrick’s School in Auckland, NZ. We are in Room 7 and our teacher is Mr Bell. We are an awesome class of Year 7 and 8 at St Patrick’s School in Auckland the ‘City of Sails’ New Zealand. We are the Awesome Room 8. Our teacher is Mrs George. In each of the above class blogs, you will find links to our children’s individual blogs. or calling: 09 527 7016.